This apartment complex with outdoor pool benefits from a privileged position in the heart of Golf del Sur, at the southern tip of Tenerife. Make the most of Tenerife's fantastic climate with afternoons spent on the surrounding golf course and refreshing swims in the Sunset View Club's pool. 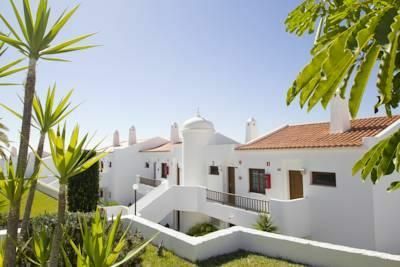 Apartments are designed in a traditional Spanish style with white exteriors and private balconies. The hotel is 5 miles from the nearest beach, where you can go windsurfing and scuba diving. There are also several casinos within 9 miles of the Sunset View. This bright and elegant one-bedroom apartment features a balcony and access to an outdoor pool. The spacious lounge includes sofas, a flat-screen TV with a DVD player and a CD player, and the modern kitchen-diner includes a microwave, a refrigerator and a coffee maker. Cards accepted at this property: Visa, Mastercard, Maestro and Switch. Please note that additional fees apply for the use of certain resort facilities. Please contact the property directly for further information.